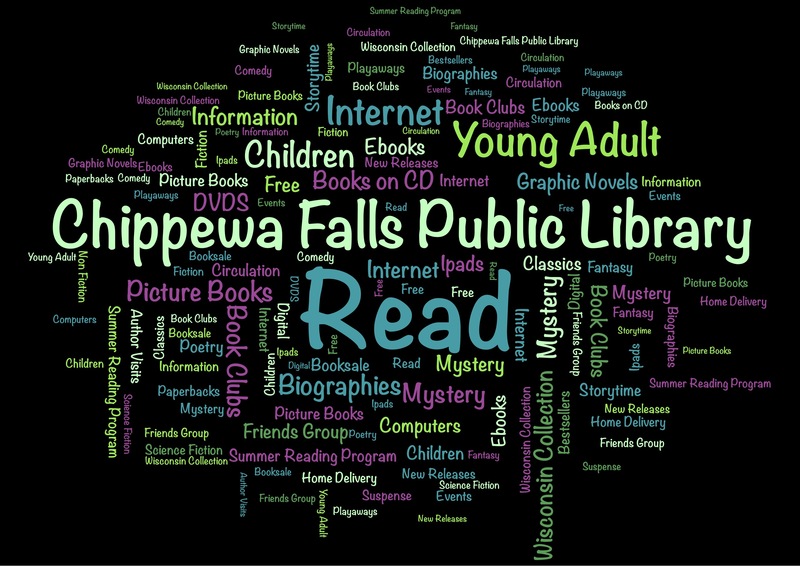 Get a Chippewa Falls Public Library Card? A free library card is available to any Wisconsin Resident. A child must be four years old to obtain a library card. Fill out an application at the Circulation Desk. NOTE: Applicants under 18 years old need a parent/guardian signature on his/her application. The parent or guardian’s ID serves as proof for the child. Guardians must show legal documentation to verify guardianship. Does a Library Card Stop Working? A library card will “expire” annually, if not used to check out materials in person or electronically. Personal information will be needed to verify or update the account. Inactive records are removed from the computer system after three years to keep the MORE system current. If your card has been removed from the system, it is free to apply and receive a new card. Library borrowing privileges are non-transferrable. Anyone wishing to check out materials must have a personal library card. May I Check Out Materials Without My Card? Once every three months. To ensure accuracy, your library card must be presented to check out materials. Library staff at the Circulation Desk may look up your patron record so long as there are no computer issues and identification or identifying questions will be requested. Your library card must be presented to check out materials if the computer system is not working for any reason. If you cannot find your card, you may need to get a new one. See Lost or Stolen Cards. It is very important to keep your patron record up to date. With address changes, please let someone at the Circulation Desk know as soon as possible. With proof of new address, a ‘Change of Address’ form should be filled out. A name change requires a new card application in the new name. Proof of the name change is required, a photo ID and current address is fine, to receive a new library card for free. If a library card is lost or stolen, please ask for a replacement card as soon as possible. Present proof of current address at the Circulation Desk and pay the $2 fee for a card replacement. The lost/stolen card is de-activated and a new card is issued. If your card is worn or damaged, it will be replaced for free. From your list of unpaid fines and bills, select “Pay Online” and choose the fines you’d like to pay. Complete the billing information and click “Submit.” You will have an option to print a receipt. Visa and MasterCard are accepted. This option is not available for fines of $1 or less. Note that you may only freeze holds on items that are not yet available. Consider using “My Lists” to save titles that you may wish to check out later. Get Books for My E-Reader or Smart Device? Download Books from the OverDrive Site? Please click the link below to send in your suggestion. The catalog lists items from 49 libraries in Western Wisconsin. While your MORE library card works at any of these libraries, you can also request most items you find in the catalog and have them sent to the MORE library that is most convenient for you. Select the “Request it” option, then enter your name (first or last), library card number, and your preferred pick-up location. Optionally, set a deadline for receiving the material so that the hold is cancelled if it’s not filled before the date you specify. Particularly on public computers, be sure to log out after requesting. TOO MANY RENEWALS – The item is not eligible for any more renewals. Typically, two renewals are allowed. You may also renew items over the telephone by calling 1-866-MY RENEW (1-866-697-3639). Have your library card number handy, as well as the the barcode numbers of the items you wish to renew.